Aruba is a Dutch island 18 miles off the coast of Venezuela that features beautiful beaches, crystal blue water, an arid desert-like topography, and some of the nicest people anywhere in the world. When researching where to stay we quickly settled upon the Renaissance Aruba Hotel and Casino. The Renaissance Aruba is actually two distinct properties; the Marina Hotel and the Ocean Suites. We opted Marina Hotel for a few reasons: the rooms have been recently renovated, it’s an adults only property, and the primary reason there’s a water taxi that runs from the hotel lobby (yes, in the lobby!) to the hotel’s private island complete with Flamingo Beach. The reception area of the Marina Hotel is an escalator ride up from ground level and features an open air lobby and BLUE bar. BLUE has excellent cocktails and sushi. 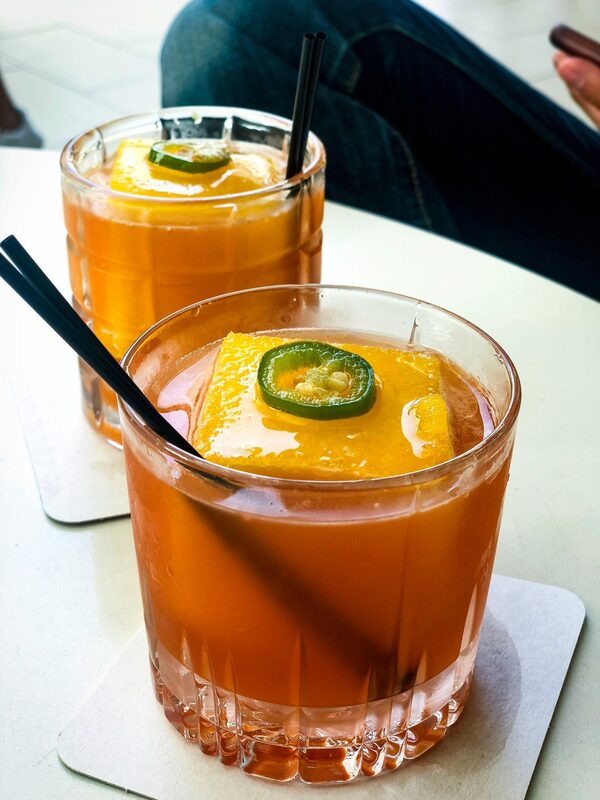 If you’re into spicy food and drink I highly recommend the Peligroso Old Fashioned which features a homemade sweet red bell pepper/spicy yellow Madame Jeanette pepper syrup, papaya salsa, and bourbon; it really is an outstanding cocktail. The rooms are spacious and our suite offered both a view of the marina across the street as well as an alternate view of the BLUE bar. But as nice as the rooms are we couldn’t wait to explore the property and were especially excited about the private island! In true James Bond fashion the water taxi picks you up in the hotel and whisks you off for a 10 minute boat ride en route to the private island. Once docked at the private island you’re greeted by iguanas, lizards, and birds as you ascend the steps to the main part of the island. From here you have a choice: to the right is Flamingo Beach, to the left is a lagoon, beach, and Papagayo Bar & Grill. 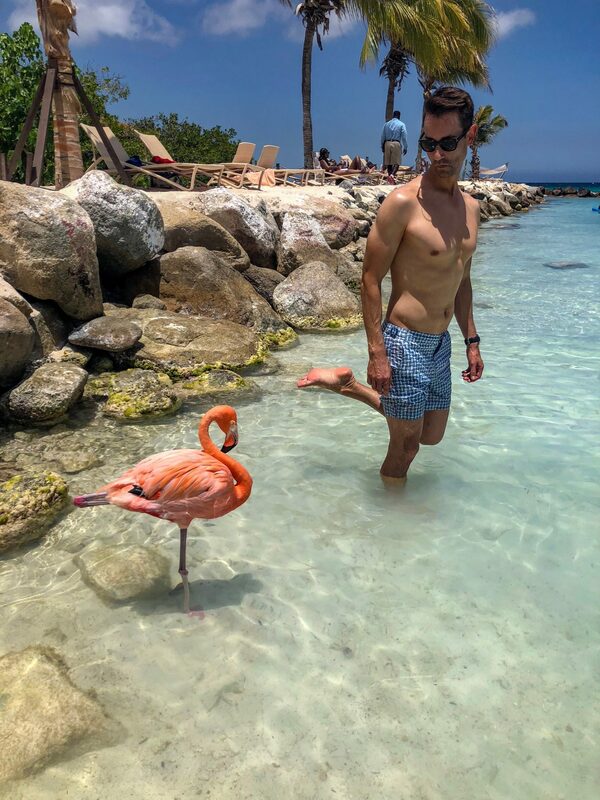 Flamingo Beach is absolutely incredible and will make all of your Instagram dreams come true! Food is available for purchase and the flamingos come right up to you and are more than happy to eat right out for your hand. 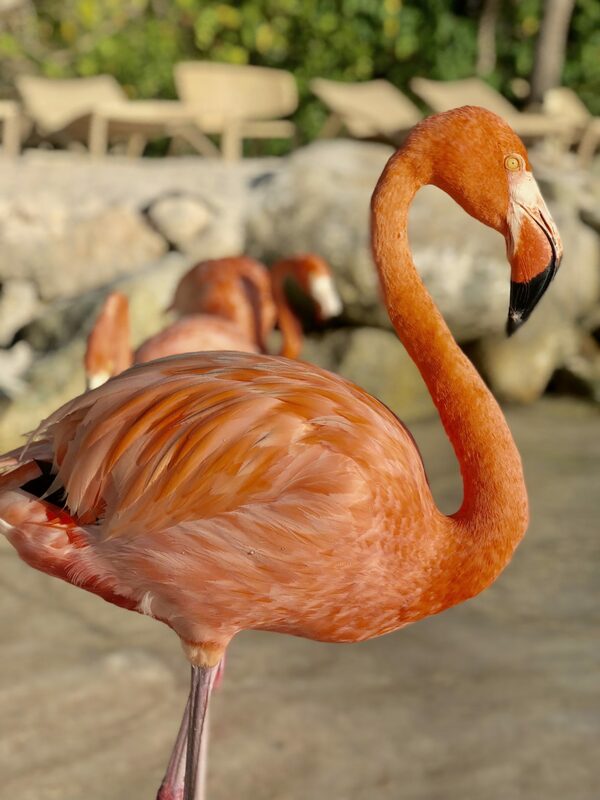 Be warned though, they’re not the most patient of birds so have your camera at the ready to snap the perfect shot, and don’t be surprised if you get honked at once or twice because even flamingos need personal space sometimes! 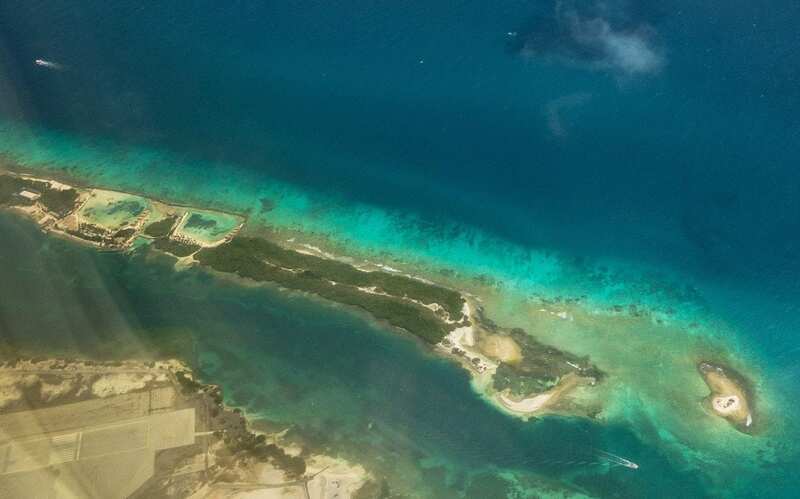 There are plenty of choices of beautiful places to stay in Aruba, however having access to Renaissance Private Island and Flamingo Beach made the decision easy for us. If you’re considering a trip to Aruba the Renaissance Aruba Marina Hotel should be on your short list of places to stay, you won’t be disappointed.